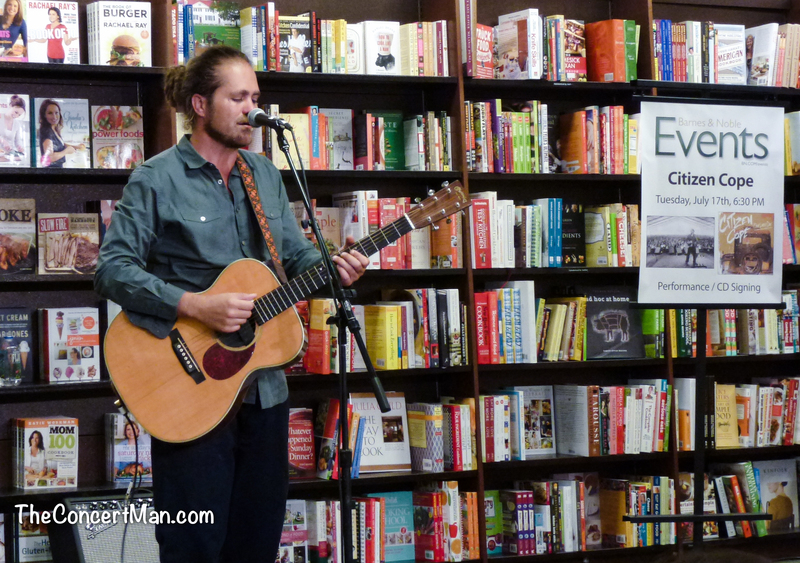 Today Citizen Cope’s new album “One Lovely Day” was released to the world and I had an amazing opportunity to attend the album release performance which was located at the Barnes & Noble in Downtown Washington, DC. 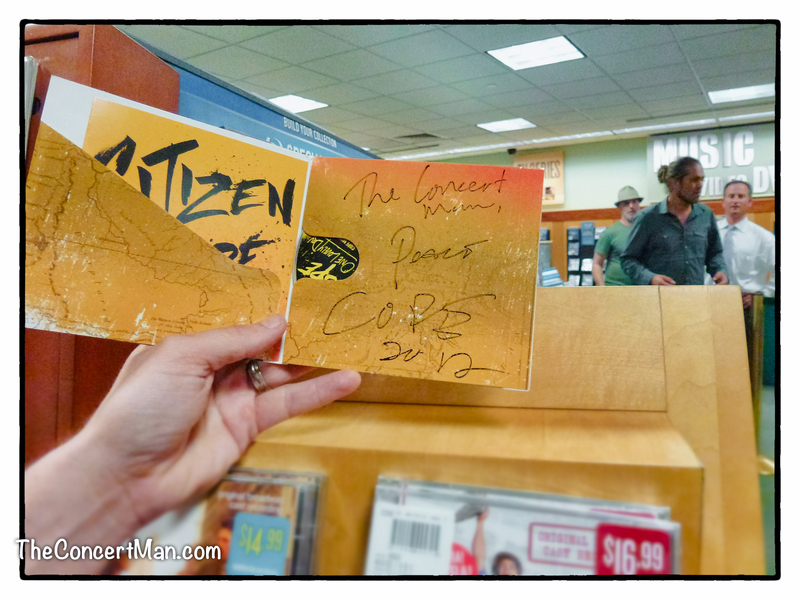 Citizen Cope put on a performance to promote his new album and also took the time to autograph CD’s for his fans. It was so cool to finally meet him. He performed his new songs “One Lovely Day”, “DFW” and “Dancer From Brazil” along with some of his classic hits “Bullet And A Target”, “Salvation” and “Sideways”. After his performance he autographed CD’s for his fans. 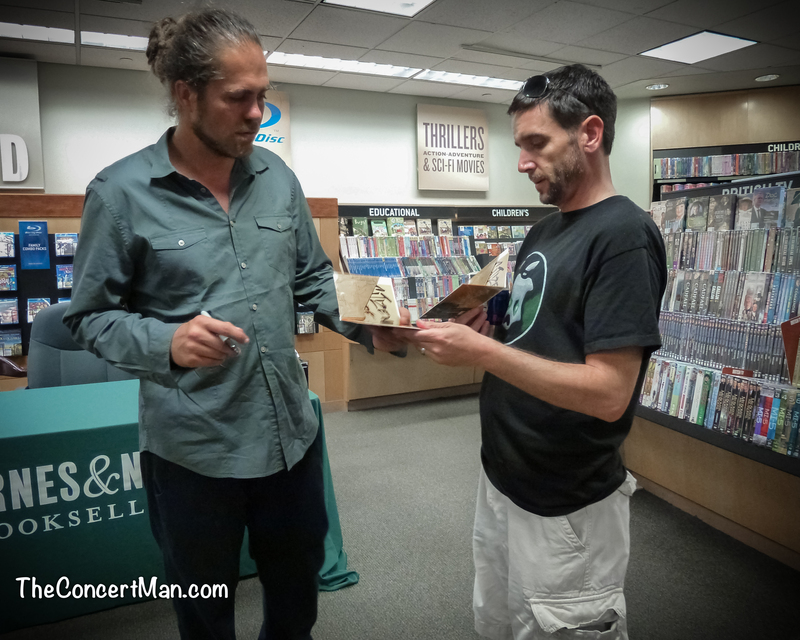 Even The Concert Man himself got to chat with Cope and get his CD’s autographed! It was good to see Citizen Cope perform again. It has been a year since he played The Warner Theater infront of his hometown crowd. Luckily for all of us Citizen Cope fans he will be performing at the Silopanna Festival on August 11, 2012 along with Cake, G.Love & Special Sauce and many other bands. It’s looking like that will also end up being “One Lovely Day” indeed! Here is a video that Citizen Cope made for “One Lovely Day” using fan photos. He used 9 of my photos in this video including the videos thumbnail pic. 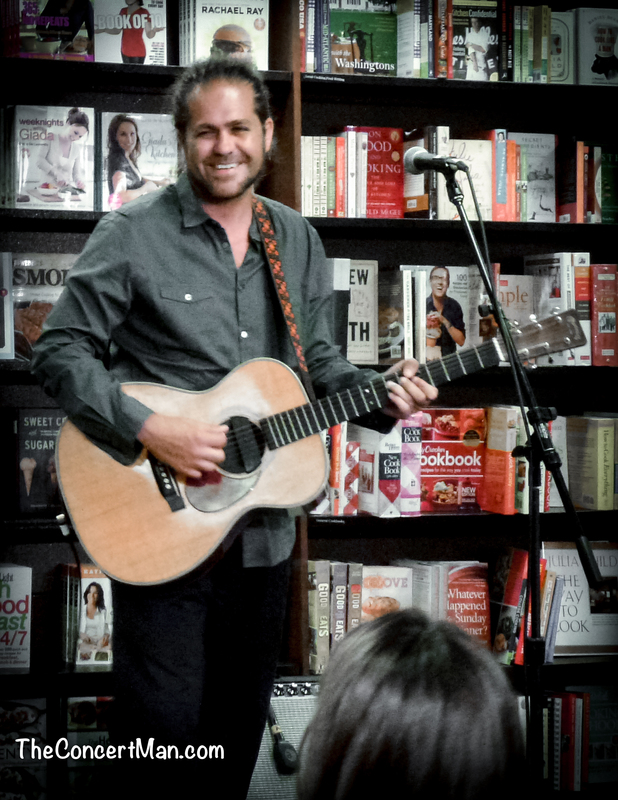 Big thanks to Citizen Cope!! I don’t know the reason why I cannot join it. Is there anybody having the same RSS issues? Anyone who knows the solution will you kindly respond? Thanx!! Your article features established useful to me. It’s quite helpful and you’re simply clearly really educated in this region. You possess exposed my own eye in order to varying opinion of this kind of subject using intriguing and sound written content.